[無料] AHA VPN:Unlimited Secure Proxy | Mac App Storeのアプリ検索・ランキング BuzzMac! 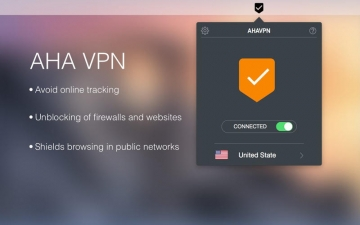 AHA VPN is one of the fastest, most reliable VPN services for Mac. Replace your IP address with a virtual IP address to avoid tracking by websites. Shield your activities from being sniffed by other users on public Wi-Fi networks, such as Airports, cafes, event venues.